Your compassion can't be measured. Accomplish More with Effective Program Evaluation Practices. We work with nonprofits in the Portland, Oregon area to provide hands-on program evaluation services and strengthen teams’ internal skills with training, coaching, and specialized technical assistance. 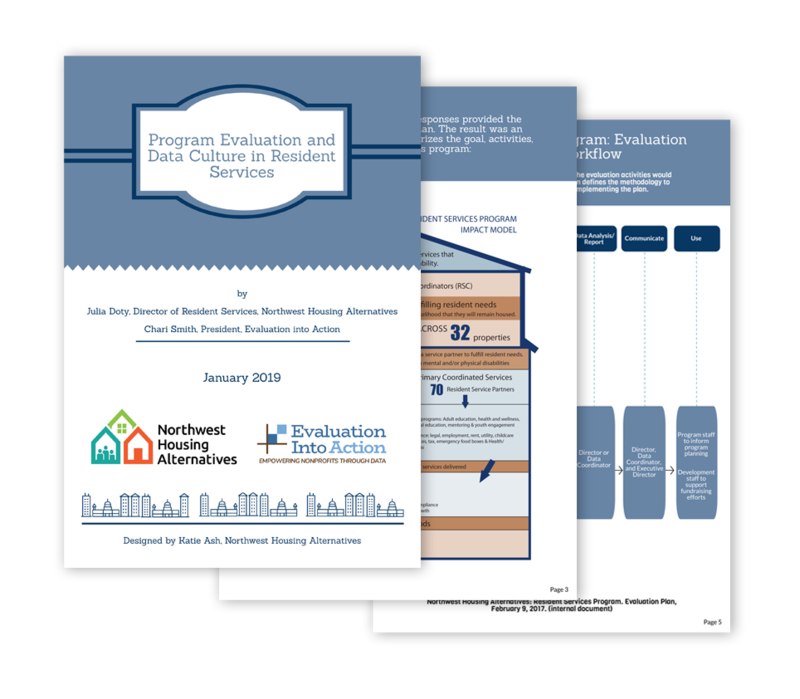 Northwest Housing Alternatives contracted with Evaluation Into Action to create an evaluation system for their resident services program. This case study outlines key steps in our process in three areas: Planning, Implementation and Results. We’ll assess your organization’s unique needs and capacities, setting you up for success in collecting, managing, analyzing, and reporting key data and insights. Her efforts provided us with a product we and our stakeholders will benefit from program year over program year. Chari worked collaboratively with us to create an evaluation plan and tools that are sustainable and scalable. Her efforts provided us with a product we and our stakeholders will benefit from program year over program year. Get periodic emails with useful evaluation resources and industry updates.